Big Party eases to victory last time. 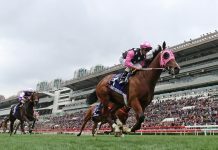 Big Party will attempt to seal a hat-trick and maintain his status as one of Hong Kong’s brightest prospects when he returns to action at Sha Tin on Sunday, 14 April. 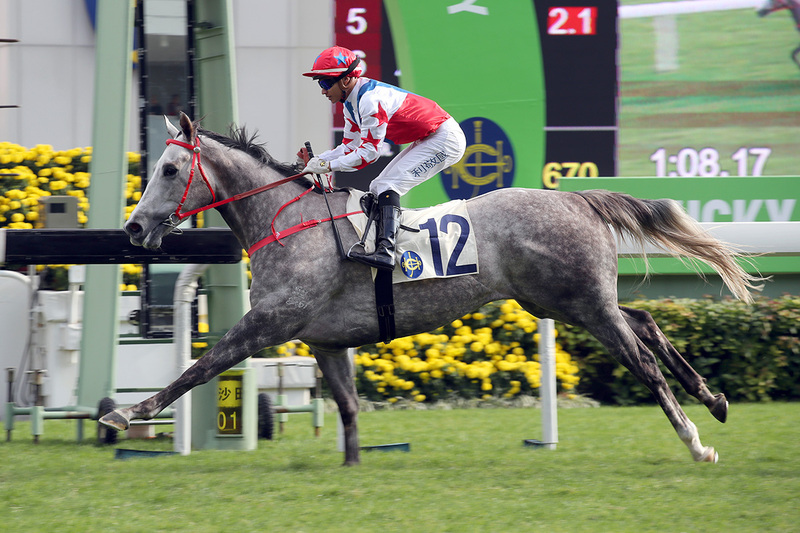 Frankie Lor’s exciting grey has not raced since a “cruise-control” demolition of Class 3 rivals over 1200m on 1 January. But a niggle in the three-year-old’s near-fore led to his withdrawal from an intended run in early February. Big Party’s latest barrier trial (1050m, dirt), 10 days ago, was a mixed bag. A tardy break preceded what might be deemed an awkward mid-section as the gelding travelled with his tail rigid, his head a hint askew and his ears cocked, before closing easily in the straight. 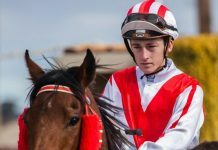 “His trial wasn’t bad – he felt like he still needed it a little bit but he finished off quite well,” jockey Grant van Niekerk said. Big Party jumped 13 points in the ratings after his last run but remains in Class 3 and Lor has no concerns going into Sunday’s Ruby Handicap (1200m). The Exceed And Excel gelding has won two of three career starts, all at the course and distance. An entire field of untapped potential will hurtle down the Sha Tin 1000m straight when seven unraced colts and geldings contest the season’s first Griffin race, the Amber Plate. Trainer John Moore has three of those, including the well-regarded two-year-old, Aethero (120lb), a Sebring gelding of the same chestnut hue as a former Moore-trained Hong Kong legend, Able Friend. Coloration is where the similarities end at this stage but the handler has made no secret of the fact that he considers Aethero to be at least a smart prospect. Zac Purton takes the ride and is being sensibly cautious in assessing the juvenile’s chances of making a winning debut. “He’s okay,” he said. “He’s only had one trial and he missed the start by four lengths and closed it off okay, so he’s going to have to do better than that. Styling City wins last year for Moore. Moore has a good record with new Griffins – two and three-year-old prospects unraced before arriving in Hong Kong – and won the corresponding contest last year with the talented Styling City. 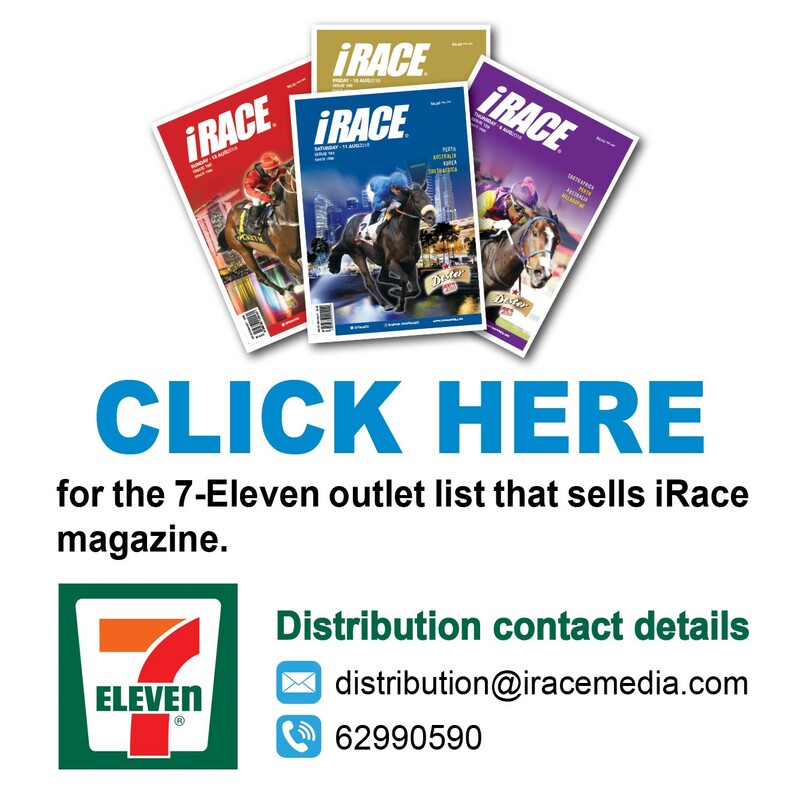 His other two contenders this time are Rewarding Shine (129lb – Umberto Rispoli) and another two-year-old, Gala Night (120lb), the mount of Joao Moreira. The field also includes the Me Tsui-trained three-year-old Sparkling Knight (129lb), the mount of Chad Schofield, who quickened late to lead home a 1200m dirt trial recently. Two-year-olds receive a 9lb weight concession from the three-year-olds. “Aethero can do it but John also told me Gala Night might be the better of the two – we’ll see what happens!” Purton added. 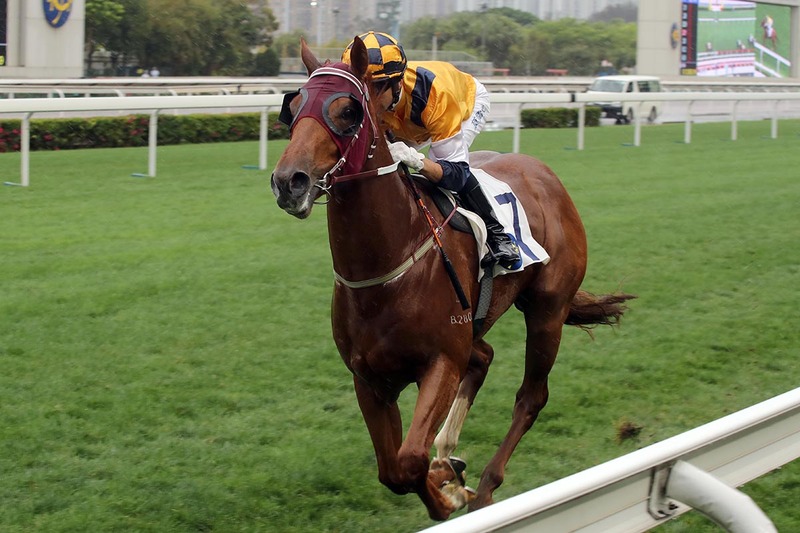 The champion jockey is looking to seal his century having reached 99 for the season at Happy Valley midweek. He is not surprised to have reached the 100 mark so quickly. 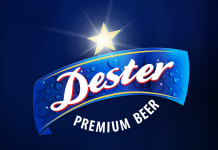 “Not necessarily, I was expecting to have a decent season and it’s turned out that way. Things are going well so it’s nice to be near that number and it’ll be nice to get past it,” he said.